Woodcock ward is a 14 bed ward caring for children and babies of all specialities from the ages 0-10 years. Wildgoose Ward is a 13 bed ward caring for children over the age of 10 covering all specialities and all oncology. The Outpatient Department offers appointments for all ages across most specialities and includes medical diagnostic day cases and the hub for the oncology service. The Children’s Assessment Unit accepts referrals from general practice and admissions from the emergency department. The unit also undertakes a significant amount of safeguarding assessment work. This is an assessment area and as such has a high turnover of patients and acutely unwell children. The Children’s High Dependency Unit accepts acute and planned admissions. The unit consists of four beds and provides post-operative care for major orthopaedic, ENT and complex surgery, as well as emergency medicine. The unit provides high dependency care including non-invasive ventilation and invasive stabilisation ventilation. The Network Neonatal Unit for the South West Peninsula is a progressive level 3 unit currently providing seven intensive care cots, 10 high dependency/special care cots and 16 transitional care cots. Our accomplished nursing establishment, Advanced Neonatal Nurse Practitioner team, designated medical staff, outreach service and tier of support staff facilitate the local ethos of delivering highly specialised care in partnership with parents. The Peninsula Neonatal Transport Service also located within the unit, provides an expert 24 hour retrieval service and gives Qualified In Speciality (QIS) staff further opportunity to advance their clinical skills. The Community Paediatric Service comprises the Child Development Centre and Children’s Community Nursing Service. The Child Development Centre offers specialist assessment and support to young people with developmental conditions. This multi-disciplinary service includes nurses working in a number of specialist roles including continence, learning disability, autism and ADHD. The Children’s Community Nursing Team support young people with complex health needs within the community setting working closely with inpatient paediatric services, other health colleagues, local authority services and education. The team also encompasses the nurses working within our local special schools. Nurses within the community team may hold a general caseload or have a specific area of specialism. The team is also a base for specialist nurses working with burns and oncology. We are always looking for enthusiastic, well-motivated and inspiring Registered Children’s Nurses to join our dynamic Paediatric and Neonatal Intensive Care Nursing team at Derriford Hospital in Plymouth. The Neonatal Service also recruit Adult Nurses with an ITU background. We have an established Clinical Education Team who provide a supportive and progressive environment with a strong commitment to induction, preceptorship and continuing professional development for all levels of nursing staff. Frequent study days and block week training are available to support nurses in practice. A rotational programme is being implemented to enable all Registered Paediatric Nurses to rotate through areas within the paediatric unit (NICU posts are not currently rotational). Newly qualified Children’s Nurses will also be supported through both a generic and specialist preceptorship programme. The Paediatric unit consists of two wards, Children’s HDU, Children’s Assessment Unit and children outpatients department. 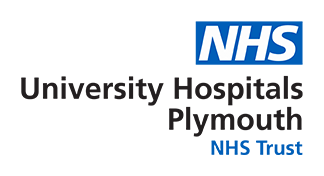 We also have close links with the Community Paediatric Team, Plym Children’s Theatres and the Emergency Department. Nurses working within our Community Paediatric services have a range of opportunities to develop their skills and specialisms within a range of fields. We currently have both Child Health and Learning Disability nurses working across our services as part of our broader multi-disciplinary teams.